2014: Annika Sorenstam, Jim Barnes, Joe Carr, Willie Park, Sr.
2009: JoAnne Carner & Jackie Burke, Jr.
1992: Joseph C. Dey, Jr.
1987: Tom Morris, Sr. & Tom Morris, Jr.
1976: Robert Tyre Jones, Jr. Universally hailed as golf's first great international champion, Harry Vardon won the British Open a record six times from 1896-1914, a mark that still stands. He was also second six times, and was never defeated in the numerous challenge matches he contested throughout the United Kingdom. 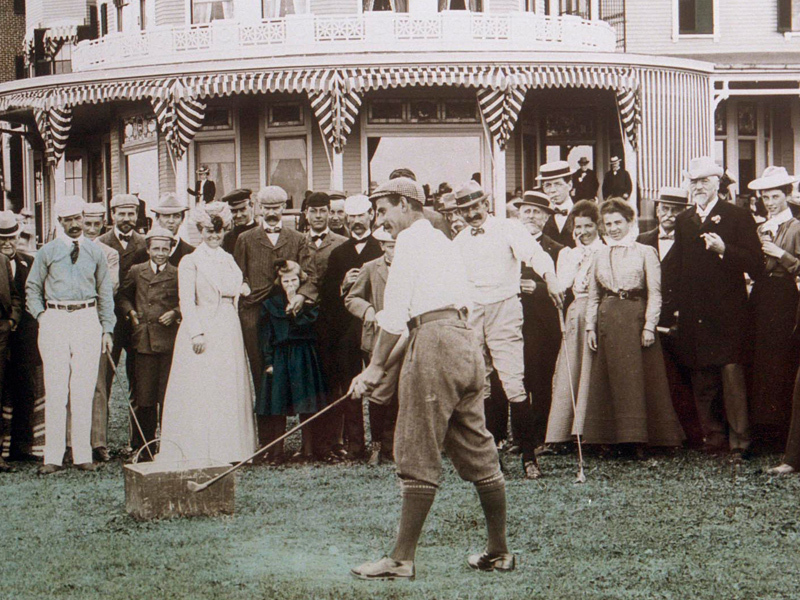 Vardon wasa equally dominant on this side of the Atlantic, winning the 1900 U.S. Open at his first attempt and finishing second on each of the other occasions he participated in 1913 and 1920. his three tours of the U.S. made an immense contribution to the early growth of American golf. Considered the fater of the modern golf swing, Vardon popularized the now-standard overlapping, or "Vardon grip".